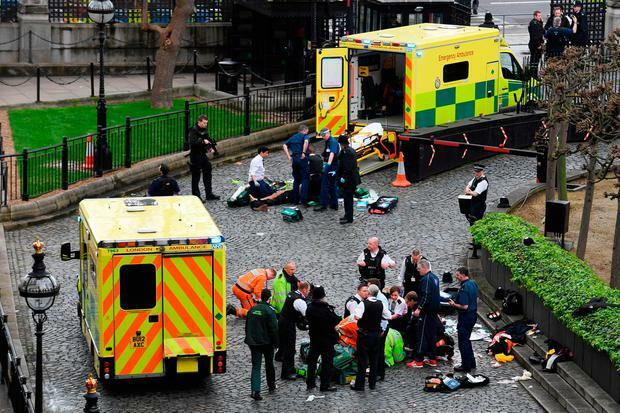 The terrorist attack on London's parliament could have been prevented if police on duty at a well-known security "weak spot" had simply kept it bolted, MPs said yesterday. The killer managed to get in through a vehicle gate in New Palace Yard - used by the prime minister and other members of the government - because it was not locked. Known as Carriage Gates, it is always manned by two police officers, who usually leave it slightly ajar because it is in frequent use. But if the iron double gate had simply been bolted shut, it would have been impossible for the terrorist to pass. Mary Creagh, the MP for Wakefield, said: "It's a terrible, terrible day for parliament, the one weak spot on our estate is those carriage gates. "We have four police officers there, two on the gate going in, two on the gate going out, we see them every day, we are friends with lots of them so I know that MPS [the Metropolitan Police], the thousands of people who work in that building, our thoughts and prayers are with that poor officer and their family tonight. "I think we will need to look at security at the palace [of Westminster] in the wake of this incident, but that is a plan for another day. I think tonight we need to be remembering all those who have been caught up in today's tragic events." Bob Kerslake, the former head of the civil service, said there would have to be "a complete overhaul of security from top to bottom". Iain Duncan Smith, a former cabinet minister, asked why an armed policeman was not on the gate and said it was a "little bit of a surprise that there was not". He said the gate was a "vulnerability" because vehicles come and go through it. Parliamentary pass holders, who include MPs, journalists and staff, are allowed to enter the building through secure turnstiles without bag checks or scanners. Members of the public must go through airport-type security at pedestrian entrances. The attack raised questions about whether the parliament may have become complacent. Security for MPs was reviewed after the murder of Jo Cox last year, although she was killed in her constituency, not near parliament. Almost 130 MPs demanded more security for their homes in the wake of that attack, including bombproof letter boxes and reinforced windows. However, the presence of dozens of armed officers who patrol the parliamentary estate had reassured MPs that, once through the gates of the Palace of Westminster, they were safe. In addition to the police presence, office doors require a security pass to open them. Pedestrian entrances for passholders require a pass and a pin number and passholders are vetted in advance by the security services. 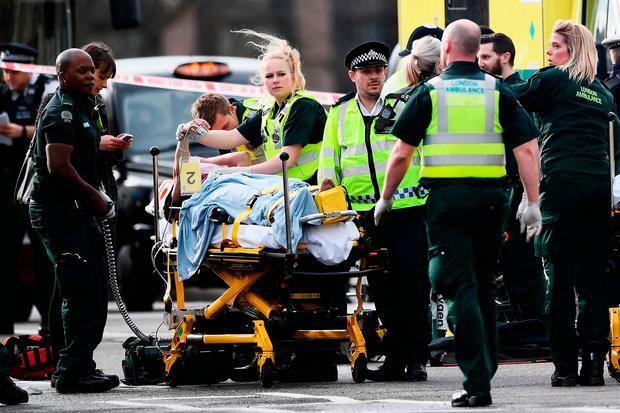 Despite her criticism, Ms Creagh praised the officers on duty at the parliamentary estate, saying: "My thoughts and prayers are with them and their families as they have been absolute heroes. They are the people who stand there and have witnessed this attack on our building and our security. "They put their lives in harm's way for us and I just want to thank them for what they've done." Richard Benyon, a Conservative MP, said he was "irritated" by reports that parliamentary security was breached. He said on Twitter: "Attacker was taken down at gate. Highly professional response."